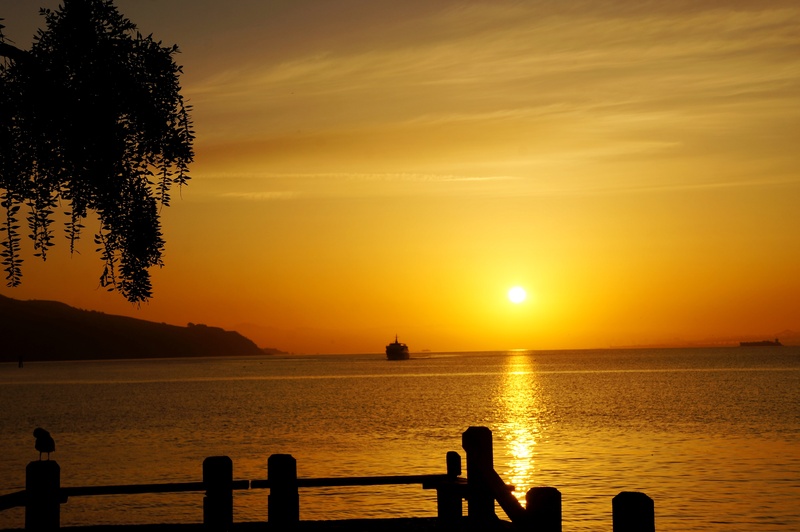 Photo courtesy of my friend Sherry Page, who took it on an early morning walk in Sausalito, California. © 2013 by Sherry Page. My son loves Muse, and he’s been learning to play “Feeling Good” on the piano. So, I’ve been hearing it a lot lately, and I’m not surprised to find myself singing it as I go about my day. What is my new dawn, my new day? Turns out I entered a new phase of parenting recently: mentoring my teens about how to interview for jobs. On Saturday, my son had an interview to be a teaching assistant for a summer program for kids from under-resourced communities. Before the interview, I told him to be prepared to ask some questions and to share why he was excited about the program. And, because the teaching assistants can propose an extra-curricular activity to lead, I asked my son what he would say in the interview if this came up. While I half expected him to say “Muse Sing-alongs”, his answer was even better: “Improv.” How fun! The next day, my daughter wanted to talk about her upcoming interview for a summer internship at a non-profit that supports women computer scientists. What should she wear? I said to stay away from ripped jeans and hoodie sweatshirts. (We live in Silicon Valley where workplaces tend to be very casual, but I think it’s nice, even for a high school student, to look pulled together for an interview.) What should she bring? I told her to leave her heavy school backpack in the car, and bring in just a purse and a notebook. We also made sure she had driving directions, her contact’s phone number, and a list of questions to ask about the internship. Check, check, and check! For those of you with college-age or adult children, I’d love to hear about the parenting skills that are important to you today. How much do they overlap with your leadership style? Please post a reply in the comments. Good point – I think this is an essential style difference that parents often don’t learn when their kids are young, and by the time they’re teenagers the pattern of telling them what to do (and their resistance) has set. The transition between positional (or worse, punitive) authority to that of leadership, expertise and influence is hard but worth it – both at work and at home. Hard, but hopefully not impossible. Thanks for sharing your thoughts, Ed! This is interesting, both as parents we need to grow and change as our children do, and as leaders, we need to grow and change as our teams does. And we don’t want to get left in the dust! Thanks for sharing this. So true! Thank you for your comment, Marie. My “children” are 18 and 20 years old. Now when I want to tell them what to do I say, “Would you like to hear what I would do in that situation?” I almost always get a “Yes” followed by “… but that doesn’t mean I’m going to do what you say, Mom – I just want to be clear on that.” And when I want to give them advice I start with “Can I give you some advice?” or “Would you like to hear my opinion?” I think they say yes because starting with a question seems to pique their curiosity, and they continue to say yes because we both know that there’s no obligation for them to follow anything I say. In the workplace I’ve found that asking something like “Have you thought about….” works better. Maybe it’s because I’m more of a mentor with my children than with my colleagues or maybe it’s because at 18 and 20 my children are still kids at heart and need some mystery and curiosity to keep the conversation going. I don’t know. Thanks for sharing your experience with us, Deb. While you may use different phrases at home and work, your approach is a respectful one. Your children and colleagues are lucky!